Does your iPad type on its own or randomly launch apps? It's no ghost! Perhaps the most bizarre problem to have with an iPad is the device typing on its own or randomly launching apps. 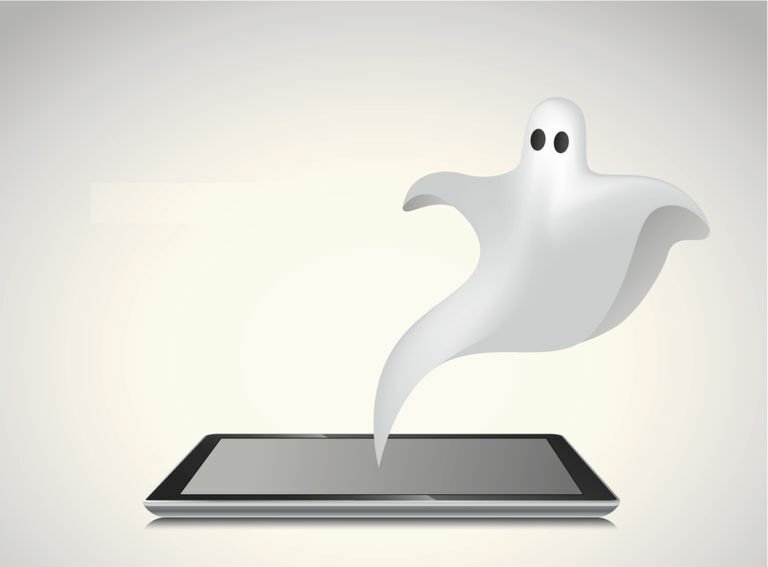 This phenomenon is often referred to as ghost typing or false touch because the iPad seems to touch itself or type in letters when not being touched. But don't worry, your iPad is probably not possessed by a poltergeist and the problem is easily exorcised with a few quick troubleshooting steps in most cases. Unfortunately, ghost typing can also be an indicator of a hardware issue, but before getting Apple involved, we can try a few fixes. The first thing many people think when their iPad begins typing on its own or interacting with an app by itself is that someone has somehow taken control of the device. Don't worry. It is extremely rare for something like that to happen, especially if the iPad hasn't been jailbroken. Apple checks all apps submitted to the App Store for containing malware, and while it is possible for one to slip past, it is rare. The first step in troubleshooting almost any problem is to reboot the device. This works with anything from a DVD player to a PC to a smartphone to a tablet suffering from ghost typing. The problem with electronics is that they are still designed by humans, so they are prone to occasionally freak out. However, in this case, we won't immediately boot the iPad back up after it powers down. Instead, we'll take this opportunity to clean the screen. First, turn off the iPad by holding down the Sleep/Wake button until your iPad prompts you to slide a button to power it down. The Sleep/Wake button is the button at the top of the iPad. The screen will go semi-dark and prompt you to slide an on-screen button to power down the iPad. After you slide the button, you may see the spinning busy indicator for a few moments before the screen goes completely dark. It's possible that the screen has something on it that is causing the iPad's touch sensors to trigger. The display is designed to ignore certain touches that it detects aren't human, which is why your nails don't register on the screen, but its possible something that does register is on the display. It's best to use the same type of microfiber cloth that you would use to clean glasses, but any lint-free cloth will do just fine. You should dampen the cloth but it shouldn't be "wet." A slightly damp, nonabrasive cloth is all you need. You shouldn't spray anything directly onto the iPad's screen. Rub the cloth gently over the entire display using left-to-right and right-to-left motions starting at the top of the display and working to the bottom of the screen. Power the iPad back on by holding down the Sleep/Wake button until you see the Apple logo appear on the screen. This signifies the iPad is booting back up and should be ready in a few seconds. For most people, simply rebooting the iPad and cleaning the screen will do the trick. But if you are one of the unlucky few still experiencing this erratic behavior even after a reboot, you can try restoring the iPad to factory default settings. This isn't quite as scary as it sounds, but it does mean you will need to wipe all of the data and apps from the iPad. Thus, your next move is to back up your iPad to ensure that you will be able to restore all of your data. First, launch the iPad's Settings app. Tap your account at the top of the left-side menu. On the next screen, choose iCloud. Your iPad should be set up to automatically back up when recharging, but to be safe, tap the Back Up Now button. Next, you need to reset the iPad to its factory default status. When the iPad is done with the reset, it will be in a "like new" state. This is the exact same step with the "Hello" message that the iPad was in when you first picked it up out of the box. Open the iPad's Settings app, or if you are still in the backup settings, return to the main menu by tapping the "<" button at the top-left corner of the screen until you are at the main Settings menu. Scroll down to the bottom of the general settings and select Reset. Tap Erase All Content and Settings. You will be asked to verify this choice. It may take several minutes to complete the reset process. Once finished, you can walk through the steps for setting it up, which should be the same as when you first opened the iPad. One of these steps allows you to restore the iPad from the backup you created. Resetting the iPad to factory default will solve the vast majority of software issues, but if that doesn't solve the issue, you may have a faulty touch display or sensors on the iPad. You can contact Apple Support or take the iPad to the nearest Apple Store for further assistance.